The great thing about digital pinball is that there is plenty of room in the marketplace for anyone that wants to get their feet wet. 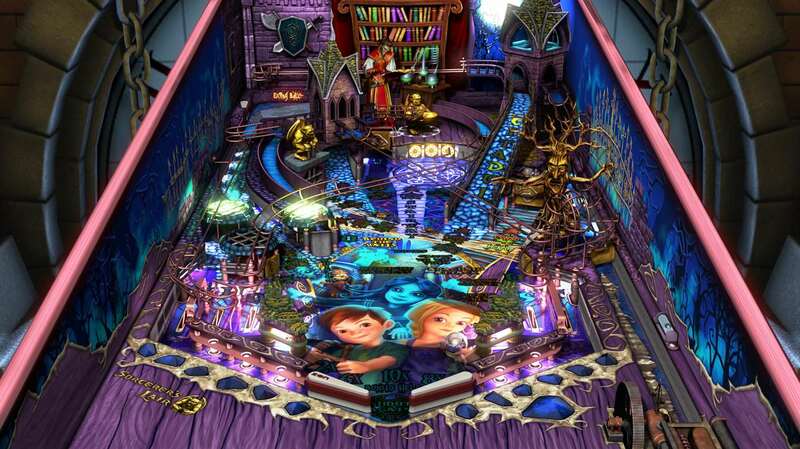 Whether that means authentic reproductions of real tables or, in the case of Zen Studios’ Pinball FX series, fantasy tables that don’t have to adhere to the physical and technical limitations that their real world counterparts do, pinball is still pinball and it’s always a total blast. Zen Studios’ latest pinball platform, Pinball FX3, delivers not just fantastic pinball but a number of social and quality of life features that really enhance the experience. Check out all of the details here in our full review of the Xbox One version of Pinball FX3. 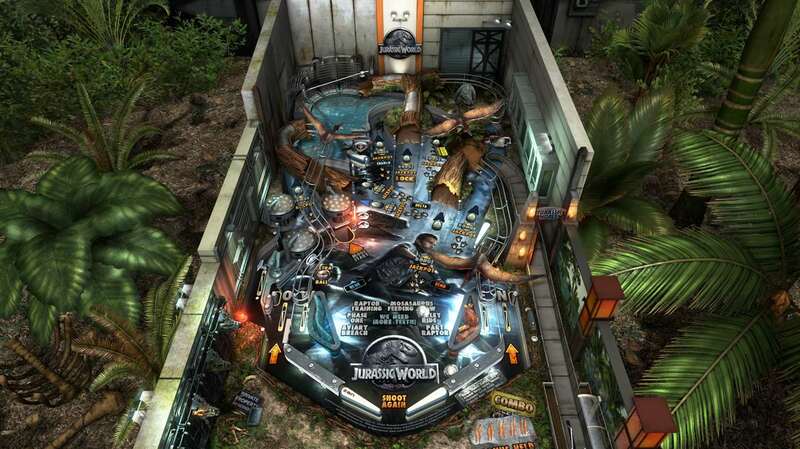 Pinball FX3 is the continuation of Zen Studios’ Zen Pinball and Pinball FX franchise. Previously, Zen Pinball was a PlayStation series, while Pinball FX was Xbox and Windows, but now all platforms, including Nintendo Switch, will feature a unified Pinball FX3 platform going forward. It is also worth noting that a big push with Pinball FX3 is on multiplayer duels and online tournaments with Switch and Xbox One featuring cross-platform online play (along with PC players) while PS4 fans can only play with Steam users. The core of Pinball FX3 is a free download that lets you buy and launch paid premium pinball tables. The free core download does include one table you can play, Sorcerer’s Lair, but the rest of the tables start at $3 for a single table and up to $30 for larger bundles of multiple tables. If you bought tables for previous Zen Pinball or Pinball FX games you can also import most of those tables over to PFX3 for free (with a couple of exceptions for licensing reasons). There are several dozen tables currently available for Pinball FX3 including several Zen Studios originals along with a growing number of licensed tables. Licenses include Marvel Comics, Star Wars, The Walking Dead, Portal, Universal Studios, Bethesda Games, and many more including the newly released Jurassic World three pack (which is what prompted this review in the first place because I couldn’t resist tables based on “Jurassic World” and “Jurassic Park”). 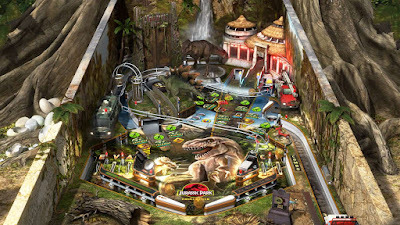 The licensed tables have really become the star attractions in Pinball FX and it is amazing how faithful they are by featuring real music and sound effects from the games or movies as well as story beats and special gameplay features based on the license. Zen does a really good job with this stuff. 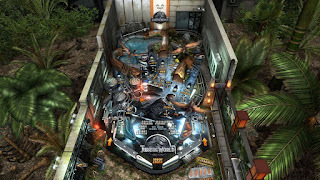 The main thing that sets Pinball FX3 apart from its direct competition, The Pinball Arcade, is that Pinball FX3 features tables that are purely videogame fantasy rather than digital versions of real world tables. 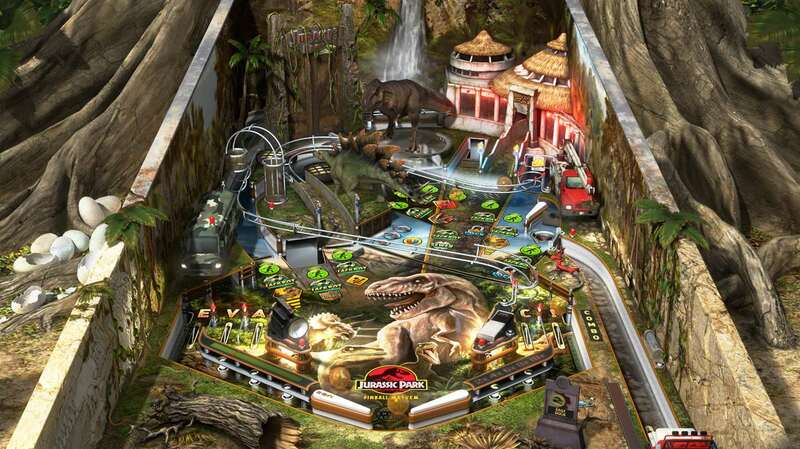 This means that the tables in Pinball FX3 can feature intricate special features, unique gameplay twists, and visual effects that would be impossible on a real pinball table. I won’t say one style is better than the other, though, as they’re both fun and worthwhile in their own ways. One thing to remember about pinball is that real world tables were, frankly, meant to be a bit unfair to keep you pumping quarters into them. Wide gaps between the flippers or bumpers and other obstacles in the field designed to always bounce the ball into extra unforgiving gutters were designed just to eat quarters. The tables in Pinball FX3, on the other hand, don’t need you to keep pumping quarters into them and, because they’re 100% digital, were designed to be more playable and “videogame-y” and fun. The tables are generally pretty forgiving and accessible which means you can take your time to really dig into their finer nuances and gameplay features. Pinball FX3 embraces this accessibility and videogame-y-ness even more by featuring unlockable table upgrades that do things like let you earn more points in specific scenarios or give you special powers like being able to slow down time. 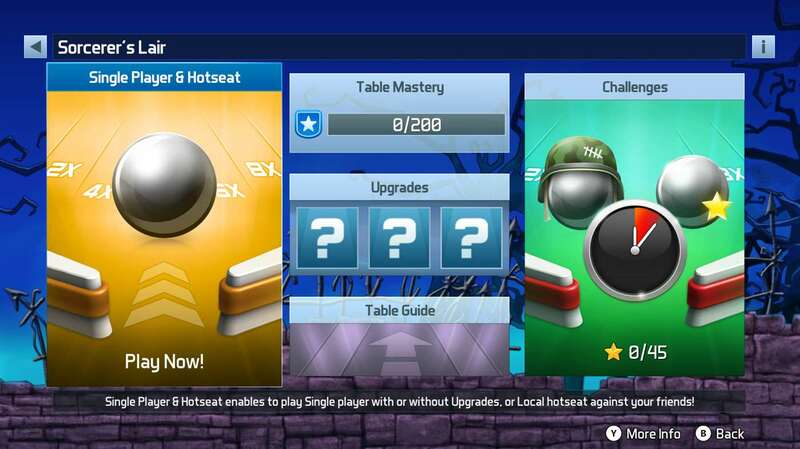 Each table has several upgrades that can level up and get more powerful as you continue to play. The upgrades and powers are totally optional, of course, and you can play by standard pinball rules instead if you want, but I really like seeing fun extra features like this. And, of course, the pinball gameplay itself is absolutely rock solid regardless of what table you play. The physics are kind of exaggerated and not really realistic, but they are consistent across all tables, which is important. It doesn’t quite feel like real pinball, but you get used to it. I didn’t experience any notable bouts of slowdown, though I only played a handful of Star Wars and Jurassic World tables. The performance was smooth and didn’t affect my gameplay at all. Presentation-wise, the tables in Pinball FX3 are all sharp, highly detailed, and look and sound great. Using real sound clips from the licenses really makes the tables feel authentic, but the tables also use plenty of traditional oldschool pinball sound effects too. The menu that ties the whole Pinball FX3 experience together is fairly clean and easy to navigate, but doesn’t have much personality compared to The Pinball Arcade or Stern Pinball. All in all, there’s plenty to love with Pinball FX3 for pinball fans. The core content platform is clean and consistent and accessing the huge number of tables is easy. The variety in the licenses, as well as the original tables, is also greatly appreciated as there can really be something for everyone here. If you’re a big pinball fan it can be expensive buying all of them, of course, but if you’re more selective you can build a nice collection of tables without breaking the bank. I also want to say that I’m glad that we have two distinct pinball platforms available on consoles these days that offer different types of pinball. More pinball is always good, so if you’re any sort of pinball fan at all you should definitely check out Pinball FX3. Disclosure: Review codes for select tables were provided by Zen Studios.